Take screenshots easily and edit the results. Is there a better alternative to Captura? Is Captura really the best app in Desktop category? Will Captura work good on macOS 10.13.4? Captura allows you to take screenshots very easily so you can edit the result picture or send it by e-mail because it is saved in JPG format. Optionally you can set the JPG compression level. 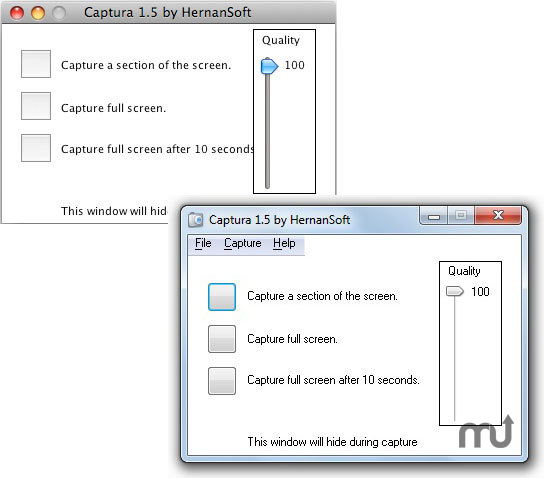 Now Captura is available not only for Mac® but also for Windows® in English and Spanish. Added support for JPG compression level, bug fixes. Captura needs a review. Be the first to review this app and get the discussion started! Captura needs a rating. Be the first to rate this app and get the discussion started!